Green Party presidential candidate Jill Stein has completed turning her campaign materials to the Senate Intelligence Committee, and warns Russiagate is being used to silent dissent. The Green Party’s State Coordinator Danielle Breck says they’ve reached out to people whose signatures Democrats charge are invalid. "We’ve received signed declarations from 14 or 15 of them now, declaring that they did in fact, in good faith, sign that petition, and that it was their signature. And we’ve also got a couple who have agreed to come in and testify," Breck says. In a separate complaint to Montana’s Commissioner of Political Practices, Democrats charge that some of the Greens’ signatures were collected by paid gatherers. That’s legal, but must be reported as campaign spending. To read & listen to article in full, click here. Texas holds a special election to fill the vacancy in the U.S. House, 27th district, on Saturday, June 30. Filing closed on August 27. Parties don’t have nominees in Texas special elections, but party labels are on the ballot. Three Republicans, three Democrats, one Libertarian, and two independents paid their filing fees in order to qualify. If no one gets 50%, there will be a runoff later. Thanks to Mark Jones for this news. The Libertarian Party candidate for governor, KASH JACKSON, says he’s running to protect people’s rights — like he did during his 20 years in the Navy — and because he can relate to regular folks. “I’m a common guy that wants better for my state and my country,” he told me via telephone on his way to Springfield this week to join a march for gun rights. He’s not now a firearm owner, but said he believes in Second Amendment rights and doesn’t think new gun laws would deter criminal activity. Jackson, 39, of Antioch, was born in Shreveport, Louisiana, and his name was Benjamin Adam Winderweedle. He retired from the service in the summer of 2016, having spent most of his career “inside submarines,” and in 2017 got a legal name change to Grayson Kash Jackson. A line in Jackson’s biography on his campaign website, kash2018.com, states that the “difficulties” he “endured in family court” made him an advocate for judicial and family-law reform. Asked to elaborate, Jackson told me that he is twice divorced. A 17-year-old son lives with his mother in North Carolina, and a 12-year-old son and 10-year-old daughter live near him with their mother. Jackson gets visits from those children four overnight days per month, plus another 12 days with “just a few hours after school.”..
To read editorial in full, click here. 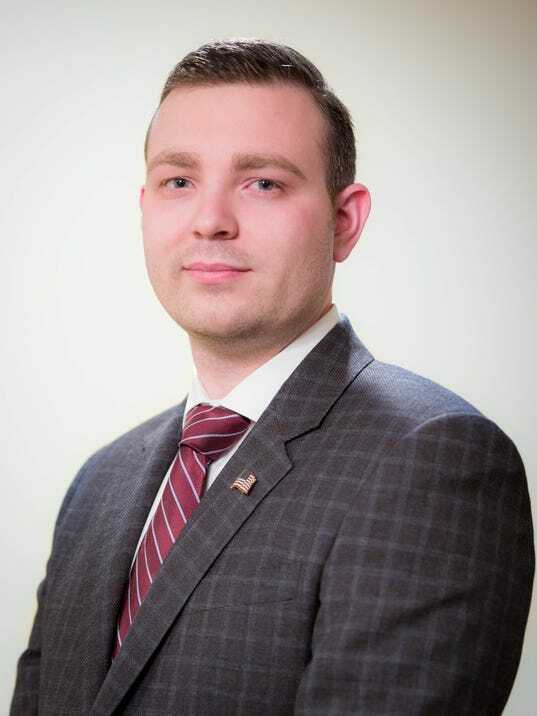 Rochester native Andrew Hollister was confirmed as the New York Libertarian Party's candidate for lieutenant governor at the party's annual convention last weekend. Hollister will run on the November ballot alongside gubernatorial candidate Larry Sharpe, a Marine Corps veteran and entrepreneur from the Bronx. Hollister attended the Rochester Institute of Technology and started his own IT consulting business, which grew to employ six people. He has served as a volunteer emergency medical technician and made an unsuccessful run for Rochester City Council in 2017. He says that his love for his home state of New York and desire to raise a family in it are pushing him to seek the responsibility of Lieutenant Governor. NORMAN, Okla. (AP) — University of Oklahoma student Traci Baker is only 20 years old, but she was recently elected as state secretary of the Libertarian Party. Baker's youth is remarkable on its own, but she's also the first transgender official of any party in state history, as well as the first transgender executive of a state party in the U.S.
Baker grew up in Edmond and was interested in politics early on. "I was inspired by the Ron Paul campaign in 2012, and that's what got me into Libertarianism," she said. "I was in high school when I did debate, and then I was in Youth in Government in the YMCA program. That's also when I started doing my first campaign." Baker graduated from Edmond Memorial High School in 2016 and moved to Norman to attend OU. "I came out as transgender pretty much immediately upon moving to Norman," Baker said. "Norman has been immensely more supportive than Oklahoma at large or nationally." The Intercept has this detailed and interesting article about the interaction between the 2016 Jill Stein Campaign, and the U.S. Senate Intelligence Committee. While attending the recently concluded Constitution Party National Committee meeting in Denver Colorado, I had the opportunity to interview Constitution Party founding Member James N. Clymer of Virginia. James was with Constitution Party founder and long time leader, Howard Phillips from the initial organizing of the Constitution Party in the Fall of 1991. James continues to serve on the CP Executive Committee as Immediate Past Chairman. Mr. Clymer is often referred to as Jim. 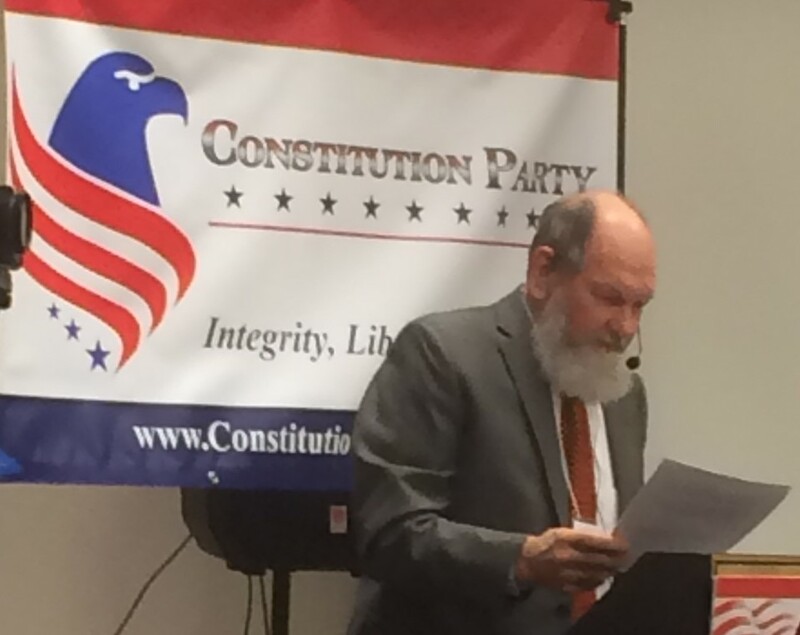 While in Denver, Jim was presented with an award to recognize his many years of dedicated service to the Constitution Party. He spoke in Denver about, Finding and Recruiting Top Quality Candidates. "1992: A coalition of independent state parties united to form the U.S. Taxpayers Party at its first national convention in New Orleans, Louisiana. Among the notable convention speakers was former Congressman Ron Paul. The party’s founder, Howard Phillips of Virginia, Chairman of the grass-roots lobby, the Conservative Caucus, was nominated to be the party’s first candidate for President with retired Army Brigadier General Albion Knight of Maryland nominated as the party’s first vice-presidential running mate. The party’s founder, Howard Phillips, was on the ballot in 21 states as its first presidential candidate. 1995: Party recognized by Federal Election Commission as a national party bringing the number of nationally recognized parties to 5. 1999: Name changed to “Constitution Party” by delegates at the National Convention to better reflect the party’s primary focus of returning government to the U.S. Constitution’s provisions and limitations." "Jim served as National Chairman for three terms from 1999 to 2012. He is the senior partner in the Lancaster, Pennsylvania law firm of Clymer, Musser and Conrad. As the party’s nominee for Lt. Governor in both 1994 and 1998, his candidacy set Pennsylvania vote records for 3rd Party candidates. During his 2004 run for US Senate against Republican Arlen Specter, he received more than 200,000 votes. Jim Clymer was the vice-presidential running mate for 2012 Constitution Party presidential candidate Virgil Goode. Jim and his wife, Lois, have five adult children." I asked Jim about how he had become involved in the Constitution Party, and now that it is nearly three decades later, what his thoughts were regarding the future of the Constitution Party and our Nation. Jim surprised many in Denver, as he was sporting a long grey beard. It seemed fitting for a founding member of the party. One of the, "Ancients," as Jim was often affectionately referred to during the Denver meetings. He even started to refer to himself by that term. "Those of us who were there in the beginning, are a diminishing number for sure. I am one of the Ancients." "I was asked to chair a couple of meetings when Shearer was unavailable. After that, I ran for Chairman, and was elected in 9/1999. I served three elected terms, until my last term ended in 2012, and Frank Fluckiger became CP National Chairman." Now, Jim says, "I wish I could have done more. The party has to come of age. There used to be a lot of enthusiasm. Typically, twice the attendance at National Committee meetings. We've had a lot of people who've come and gone. We went through a period of malaise. We had some who went back to the GOP and became elected. It was tempting for many." Jim continued, "Then we had a significant split in 2005/6, shortly after the 2004 election. It happened in Tampa, Florida. The party never completely healed from that, it was a stressful time. There was no good solution to it (the abortion issue). It could have gone either way, and it would have destroyed the party. The party attracts passionate people. We need to learn to be more resilient and flexible. There are differences in religious faith traditions. Some have left over those." In response to the question about his vision of the future of the Constitution Party, Jim believes, "We have to develop a better youth program. We made a couple attempts in the past to establish college programs. We found out at CPAC (this year) that young people are more receptive to our message than older folk." Jim continued, "I think we need to continue to look for opportunities. I don't believe we should challenge every race. We need to run good candidates, who contrast significantly with the main party candidates. I think the state and local levels is where we need to look at running candidates. I think we should focus our energies on those races where we can present a clearer contrast to the other parties, where we can make the biggest difference." Regarding ballot access, Jim said, "Another thing is, we've got to get better at getting ballot access. For the past three Presidential elections, we've been on fewer ballots each time." When asked about the critical California ballot line, which was lost when the California American Independent Party disaffiliated from the Constitution Party in 2008, Jim said, "Since we lost the AIP in California, we lost a vehicle which we have not been able to get back. I believe we should make an effort in every state. I don't have a strategy for California now. We made that attempt to use the Independent Party line, but the California Secretary of State and the courts went against us. So, that ballot line was closed. I'm not averse to working with the CA AIP again, if that opportunity would open up. We have to do something to develop a strategy." Jim's final comment was regarding the message of the keynote speaker in Denver, Joe Miller of Alaska. Jim said, "I think as Joe Miller said last night, we may be entering an era where the Constitution Party has a real chance. The Republican Party can't seem to get their act together. For Constitutionalists in the Republican Party, there are many that see Trump as the last gasp of hope for the Republican Party to restore Constitutional principles. If that fails, they'll be looking for a new home." This morning several items of business were concluded and there were several speakers. Chairman Fluckiger noted that this was the first CP NatCom meeting since he has been Chair that met Quorum without proxy votes. 8:40 am CP National Chairman Frank Fluckiger submits ExCom recommendations for J.R.Myers as Chairman of the Western States Region & Thom Holmes of Oklahoma as an At-Large ExCom member. Both were approved unanimously by the CP National Committee. 3:15 pm Gary Welch Speaks About His Role of Religion in the CP Resolution. 3:50 pm Confirmation of Spring 2019 National Committee Meeting. Wisconsin is the first choice, Iowa the back-up. 4:00 pm Statewide Candidates Address the NatCom. On April 19, Illinois State Senator Sam McCann announced that he is no longer a Republican, that instead he is a member of the party he has just formed, the Conservative Party. Also he will petition to get on the ballot as the Conservative Party gubernatorial nominee. Hie Lieutenant Governor running mate will be Aaron Merreighn. Thanks to the Libertarian Party’s win last year against the full-slate law, the new Conservative Party will not be forced to run anyone for the other statewide offices up this year, which are Secretary of State, Attorney General, Comptroller, and Treasurer. The Conservative Party will need 25,000 valid signatures by June 25. The only other party that is petitioning for statewide office is the Libertarian Party. See this story. Thanks to Sam Cahnman for this news. On April 14, the New York Working Families Party overwhelmingly endorsed Cynthia Nixon for Governor instead of incumbent Andrew Cuomo. Cuomo is running for re-election this year. See this story. The WFP is now highly likely to nominate Nixon in May. That would almost certainly mean that she would be on the November ballot as the WFP nominee. On April 3, Libertarian Party member Brandon Kneeld was elected to the city council of Davenport, Florida. The election was non-partisan. Davenport is in Polk County in central Florida. Tennessee requires 33,844 signatures for a newly-qualifying party to get on the ballot, but only 25 signatures for anyone to run as an independent for any partisan office (except presidential independents need 275). After years of trying and failing to persuade the legislature to lower the party petition, Tennessee Libertarians have decided to qualify 22 separate independent candidates for Governor this year, to publicize the absurdity of the law that is so harsh on minor parties and so easy for independent candidates. See this story. No group has successfully completed the Tennessee petition for party status since 1968. Even Americans Elect tried and failed to qualify, in 2011. Missoula County commissioners approved changes to the by-laws governing the Election Advisory Committee on Wednesday, though the newly created positions will have to wait for a vacancy. The seven-member committee, currently comprised of several at-large members and one representative from both the Democratic and Republican parties, will be joined by a member of the Libertarian Party and a student representative from higher education. “The EAC felt there was such a large student population that it was really important that they had input from a student who’s a voter in higher education,” said Dori Brownlow, director of the county’s development district. “A lot of what the EAC does is access to voting issues, and the student member advises the EAC on issues specific to students.”..
Nevada has two methods for a party to retain its qualified status. It can either run a candidate for any partisan office who polls votes equal to 1% of the number of votes cast in the entire state for U.S. House, or it can have registered members that are equal to at least 1% of the state total. The Libertarian Party, in the March 2018 voter registration tally, for the first time has registration above 1% of the state total. There is no real practical significance for the party, because it always easily passes the alternate vote test. But, theoretically, the party could now remain on the ballot even if it had no candidates. Of course it is conceivable that its registration total might dip below 1% in the future, so it would then again need to pass the vote test. Thanks to Andy Craig for this information. On April 3, Green Party member Yogesh Chawla was elected to the Dane County, Wisconsin, Board of Supervisors, from district 6. He defeated his opponent by 52.6% to 47.4%. The election was non-partisan. BENTONVILLE (KFSM) — A Libertarian Party candidate has suspended his campaign for a State House seat after allegations surfaced that he made derogatory comments about gay people and HIV. During a Facebook conversation about blood donations, Justin Jones reportedly told a woman that homosexuals were "1000% more likely than any straight person" to contract HIV. He later called homosexuals "disgusting." Jones was a candidate for District 87, which covers parts of Benton and Washington counties, including Siloam Springs, Elm Springs and Tontitown. "I recently made a comment that was meant to be satire, but had FACTUAL meaning. In the new day of Social Media, we face backlash for every comment we make, which is putting "Free Speech" at a price. The Aids Epidemic is a VERY big part of the LGBTQ Community. To not recognize that would be a "Lie" to yourself and the LGBTQ Community. In this New Day of politics, we are recognizing the benefits of throwing away the old establishment, and how that didn't work. 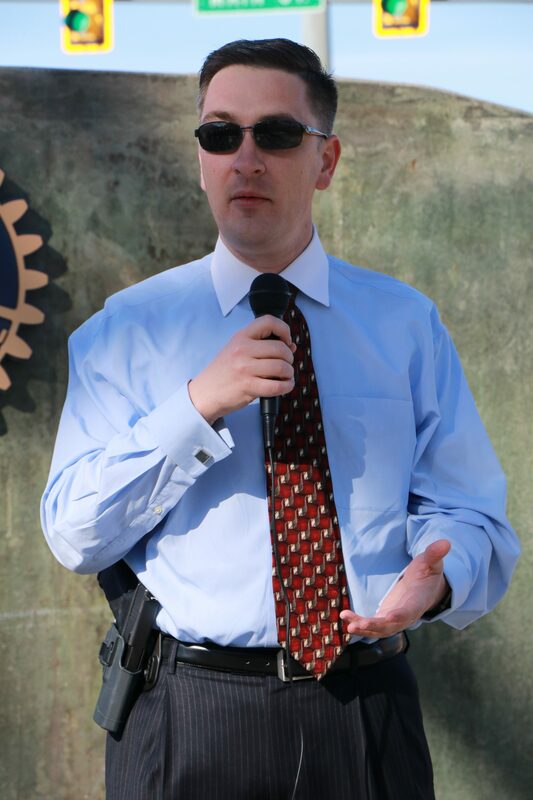 Today, we are bringing back "FREEDOM OF SPEECH", and protecting our 2nd amendment rights. That might be too much for some people, but that's why we're getting them out of Public Office. Let's get back to "Making Arkansas Great Again". Vote Justin Jones for State Representative, District 87." Jones declined an interview request. Campaign manger David New said that Jones has "made his statement" and "has nothing more to say on this matter." In an interview 5NEWS, Michael Kalagias, chairman of the Benton County Libertarian Party, said candidates should stick to the Libertarian Party's message of decreasing the size and reach of government. "If not, then you don't need to be a Libertarian, you're not representing us," Kalagais said. "We're a pretty broad tent — big tent party, but there's still places you can't go and still call yourself a Libertarian." Dr. Michael Pakko, chairman for the Libertarian Party of Arkansas, called Jones' comments "completely antithetical" to the Libertarian Party's values. 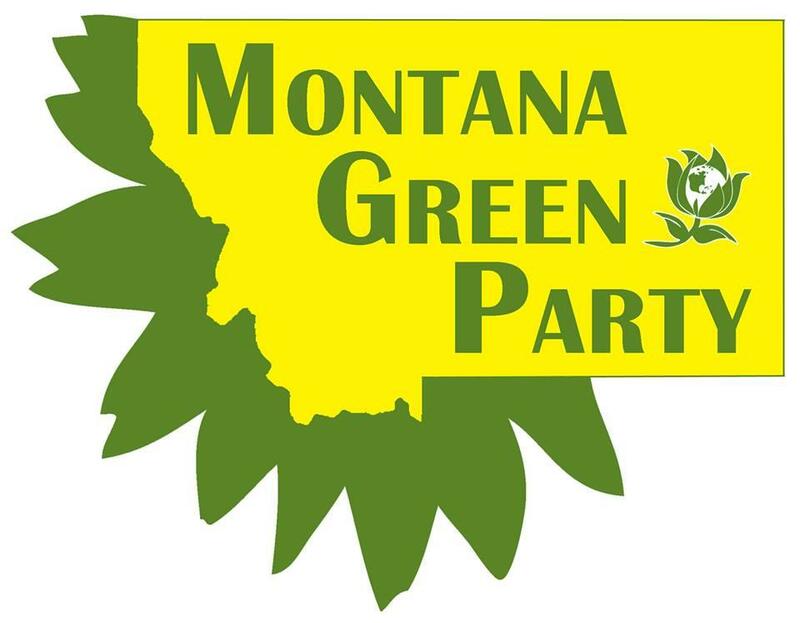 The Montana Democratic Party challenge to the Green Party petition will be heard in a state trial court on Tuesday, April 24. See this story. On April 2, Florida Professor Tim Canova announced that he is changing his registration from Democratic to independent, and that he will be an independent candidate for U.S. House in Florida’s 23rd district. He will run against incumbent Democrat Debbie Wasserman-Schultz. In the August 2016 Democratic primary for the same office, Canova polled 43.2% of the vote against Wasserman-Schultz. In the general election in the same district in 2016, Wasserman-Schultz received 56.7% of the vote, her Republican opponent received 40.5%, and two independents received the remaining 2.8%. The ballot-qualified Moderate Party hosted Rhode Island’s first gubernatorial debate of 2018, according to this story. Only two Democratic candidates, and one Republican candidate, chose to appear. The Moderate Party itself doesn’t have a gubernatorial candidate yet. If it doesn’t run someone for Governor this year who polls 5%, it will go off the ballot. The New York Working Families Party will nominate candidates in May, according to this story. For Governor, the party must decide whether to nominate incumbent Andrew Cuomo, or Cynthia Nixon. Those two candidates are also both seeking the Democratic nomination, but the Democratic primary is not until September.